Is your hobby observing night animals or perhaps hunting at night? Are you tired of squinting into the dark trying to recognize those shapes and see what’s out there clearly? If your answer is “yes” to both questions, you definitely need one of the best Gen 2 night vision monoculars. Good night vision is something we humans lack at and one of these devices from our list below will come in handy. Instead of using spotlights that scare away the animals you are watching you need to swap to a night vision device so you can enjoy your hobby stress-free. There are Gen 2 night vision monoculars with different technologies that will give you both the power of night vision and the small size, lightweight device that is simple to carry. Here we have compiled a list of the best Gen 2 night vision monoculars you can buy. Each one offers you different features, unique designs, and value. In addition, if you are not sure which one to choose read our important information on how you can choose the best one for your needs following the comparison list. Compared to a pair of binoculars, a monocular is a miniature version of a spotting scope or telescope. This device you hold in your hand is similar to a pair of binoculars. The only difference is that you observe objects with one eye. They are smaller and compact in size, not to mention that you can find models available no longer than your thumb. They act the same as a magnifier as it amplifies images, making it easier for you to see it in the distance. 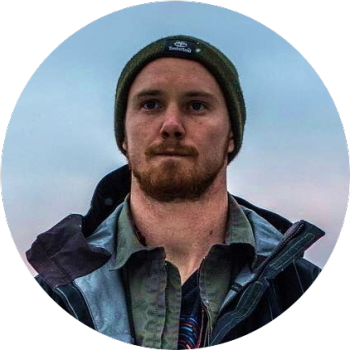 So, how do you choose the best Gen 2 night vision monocular to fit in with your lifestyle and needs? Choose a monocular with a great image quality as this allows you to see objects easier. Resolution can be measured in any number of different ways. However, when it comes to night vision you’ll see it most frequently noted down as lp/mm. The actual meaning of this unit is a rather complex discussion point. The nice thing is though that since all the companies like to present this same unit you can easily compare, with the high the number the better the overall resolution. Choosing Gen 2 models compared to Gen 1 gives you a light amplification of less than 6,000 and use image intensifiers to make it possible for you to view objects in the dark. Furthermore, the light gain in generation two gear goes beyond 20,000 times. Since these monoculars have been developed for use in the dark, you may find that you need them to see clearly where you are going. One option is to hold it up to your eye, but this leaves you only a single hand free to do anything else. Often times you’ll find that the monocular is in your dominant hand, meaning that most people will have a hard time doing much quickly or skillfully. Another option is to go with some sort of mounting solution. These can keep the monocular where you can easily see and use it and often times let you flip the device up and down for quick swapping. With that kind of setup, you can have both hands to carry gear or any other number of tasks. Certain devices use thermal imaging and measures the amount of heat emitted in a given area. One must remember that these units do not have an eyepiece and use sensors to differentiate between the environment and objects. The data gathered displays on a screen for you to see and needs no light. To be clear, not all night vision devices offer you a thermal imaging option. For most cases, you’ll have to equip another device to use this in conjunction with night vision. This type of monocular does not read or see heat and takes the amount of light available and amplifies it. You need to remember when buying this type of gear you need lighting for it to function. The bottom line is that if you have a complete blackout you aren’t going to see anything with these devices. Some models come with an illuminator built in, these will shine a light that is not visible to the naked eye, but can be picked up by your night vision device. These tools are great for adding a little more light to the situation while not giving your position away. There is also a range of these available to purchase separately from your monocular. As you will be using the monocular outdoors for long hours, make sure to get one with a great battery life. These are only a few things you need to consider when choosing your Gen 2 Night Vision monocular. Therefore, if you have decided in what type of environment you plan to use your device and what imaging you need to use your device in – you can find some of the top night vision Gen 2 Monoculars reviewed here. If there is, one thing we humans lack it is night vision. We need supplement devices to help us. 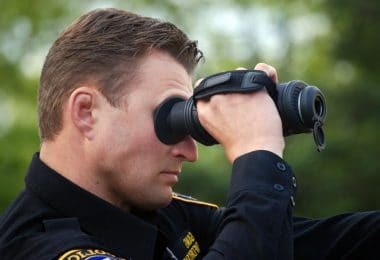 Moreover, if you need an extra pair of eyes during the evening while hunting one of these devices that have been reviewed here can help you out. 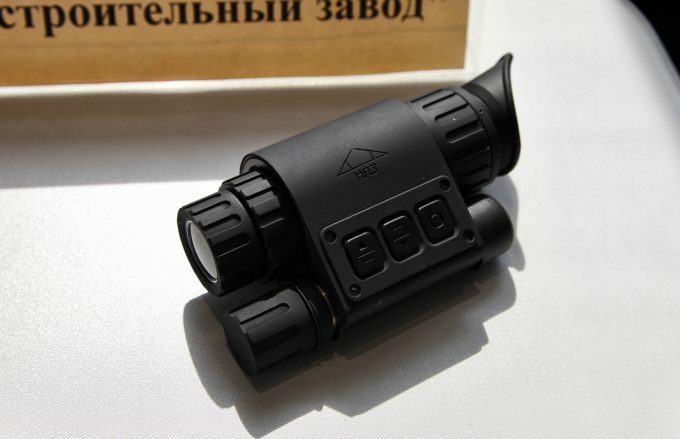 Description: For a versatile night vision monocular, the Night Optics D-300 Monocular model is affordable and you can adapt it to use in different types of environments. 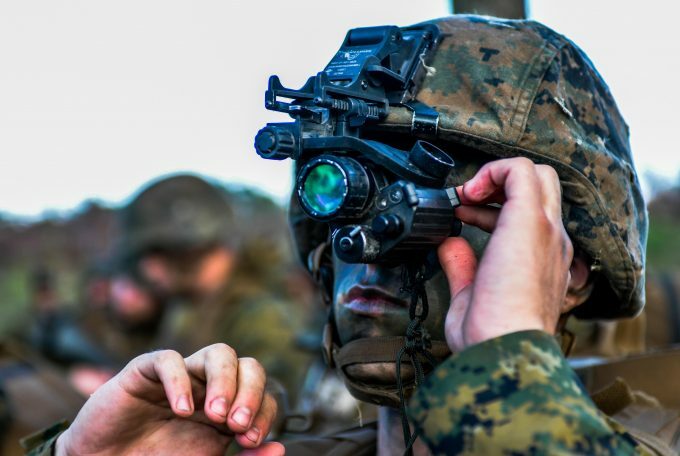 The night vision device has an infrared illuminator that lights up around you at night and designed with mil-spec optics. Further, it has an internal battery with infrared indicator alerting you when the battery becomes low. The housing of the monocular is lightweight, water-resistant, and suitable for tactical operations. It has a 25 mm f1.1 lens system with a field of view at 1,000 yards and range focus of 10 inches to infinity. The other great thing about the night vision is the 3V CR123 battery that has a battery life of up to 40 hours. The dimension of the Gen 2 is 5.5 x 1.8 x 2.5 inches and weighs 1 lb. Included with your purchase you receive a helmet mount and hard case. Adapt this device for any purpose as you can mount it to a helmet and your weapon. Attach it to a camera or your camcorder for better night vision capabilities. Related: If you would like to mount the D-300 to your rifle, you can buy the ATN Weapons Mount also known as the PVS14 to make this possible. This comes with a lifetime warranty. As a note though, this cannot be sent outside of the United States. 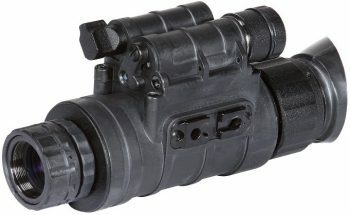 Description: For a demanding night vision monocular, the Armasight PVS-14 ID Monocular has been around the block when it comes to law enforcement and military use. With the lightweight design, it has a Generation 2 image intensifier tube with a single battery. Use the device in your hand or mount it on your head, helmet, or weapon. You can even attach it to a camera or camcorder. When it comes to outdoor use you do not have to be concerned about this unit as it is compact and has a rugged design. The other exceptional thing is it is waterproof and has a manual gain control and easy to operate controls. Further, it has an infrared illuminator with a flood lens. It uses an F1.2 lens system with a range of focus of 0.25 m to infinity. There is a diopter adjustment with direct controls and bright light cut off. In the field of view, it has a low battery indicator and uses one AA 1.5V battery with a battery use up to 50 hours. The other standout feature is you receive a two-year warranty, automatic shut off, user manual and a limited 2-year warranty. 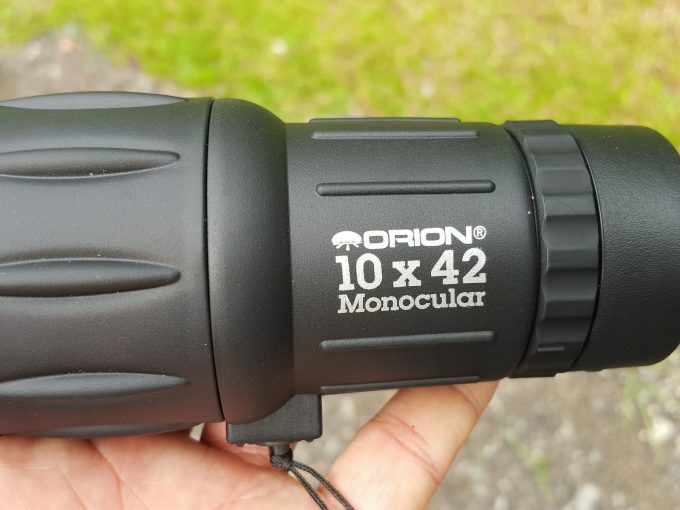 The dimension of the monocular is 4.5 x 2 x 2.25 inches and weighs 12.4 lb. Related: Although the IR illuminator is great to use up to 3 meters we recommend you buy yourself a separate one similar to the Sightmark IR-805. These are quite handy to add that extra level of illumination beyond the built-in range. 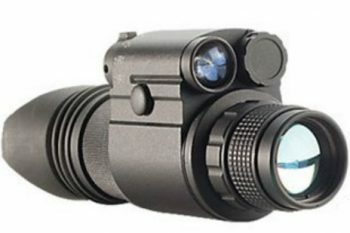 Description: For a high-tech and durable night vision device that delivers unmatched performance, you can buy the Armasight Avenger Monocular. Although it is currently unavailable from different online suppliers, it is an amazing device if you can get your hands on one. This monocular is packed with amazing features suitable for the hunter and security officer to use. Mount the Avenger on the front of your camera or camcorder or mount it to headgear. The device has automatic brightness control with a bright light cut-off and uses one single CR123A lithium battery or AA batteries and has an adapter included. 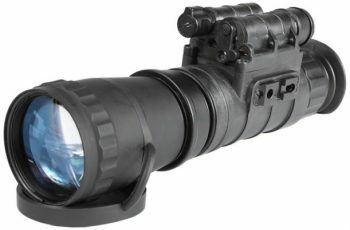 You can mount it to your weapon and it has a built-in infrared illuminator with a flood lens. Although the units not waterproof it is water & fog resistant. It has a 50 mm lens system with a focus range of 3 m to infinity and a diopter adjustment of -5 to +5. The battery life use is up to 40 hours and has a dimension of 8.2 x 2.9 x 2.3 inches and weighs 1.4 lb. Included with your purchase you receive a two-year warranty. You receive extra a packing box, soft carrying case, lens tissue and the user manual. Related: Use the Armasight XLR-IR850 Infrared Illuminator with long-range viewing as an extra with your Gen 2 Night Vision Monocular. Alternatively, do you prefer some hands-free use then the Armasight Goggle Kit is perfect to use with the Avenger? The extra illumination range and the option to go hands-free really makes this a sweet setup. Description: For one of the best choices, buy the ATN M04-2 Monocular model. This monocular is an advanced device using Smart technology. With the state of the art features, it can automatically go on/off when used in viewing position. The digital adjustments easy to use and has a computerized proximity sensor that helps to extend the battery life. 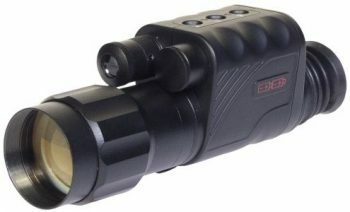 Further, it has a long-range IR illuminator for viewing up to 100 yards. The glass is multi-coated for clarity and distance. The objective lens is super fast and you can double the viewing with an optional doubler. The device is fog and water resistant and adaptable to use with a camera that is great for night photography. Included you receive a hand strap and a 2-3 V lithium battery. The battery life use is up to 20 hours. Related: Double the magnification of your monocular with the ATN Doubler 2x Magnification Lens. As the name lets you know this will add a touch more zoom to the optic. Description: For a lightweight and rugged built night vision, the Armasight Sirius-ID Monocular stands out for all the right reasons. This multi-purpose monocular you can use out in the field while held in the hand. When out hunting attaches it to your head or helmet or mount it directly to your weapon as a night sight. It has a built-in infrared illuminator with a flood lens to make it able for you to see clearly in complete darkness. This is for close-up and long-distance range view. It has an automatic brightness control to help increase or decrease the brightness of images. Further, it has a light cut-off system to control the current illumination level with bright light. Once you surpass the 300 lx, the night vision monocular shuts off. You can use the Sirius-ID in any type of environments and weather conditions, as it is waterproof. Use extra lenses with it for even better long-range viewing. You can also buy an optional Life Tracker System to measure the hours of operation. Other prime features are the IR indicator, low battery indicator, two-year warranty, and excellent 60-hour battery life use. The night vision monocular weighs 1.0 lb and has a dimension of 6.2 x 2.4 x 2.9 inches. Related: Why not add extra versatility to this night vision monocular by purchasing yourself the Armasight 3x A-Focal Lens Kit that includes the lens #22, with a #23 adapter. 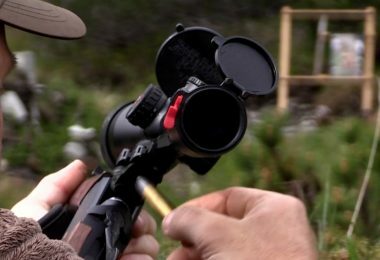 This device bumps your optic to a 3 times zoom device, helping you in those mid-range observation areas. Description: For a compact and water-resistant, monocular designed for marine and boating applications use the AEO Night Mariner NM150 Monocular. The device has a bright yellow design with 1x magnification. The objective lens used to design the night vision is a F/1.4 lens and has a system resolution of 0.76 with a tube resolution of 40 LP. The device has a six-month warranty. Included with your purchase you receive lens covers, a yellow nylon carrying case, hand strap, lens cloth and the user manual. The other exceptional thing about the NM150 is it floats in water and measures 7 x 3 x 2 inches and weighs 1 lb. Further, it has a 40° field of view with an objective lens focus and has bright source protection. The monocular uses two by AAA size batteries and have a battery life use of up to 60 hours. The other great thing is the unit shuts down automatically after 5 minutes to conserve the battery life. It also has a tube gain of 30,000 with a F/1.4 objective lens. Related: If you want to add some range to your monocular, you might want to look at an illuminator. You could always buy yourself one similar to the Sightmark IR-805 Infrared Illuminator Flashlight. Description: For a new standard multi-purpose Night Vision Monocular, Armasight Nyx-14 Monocular is everything you need. This high-definition device has a compact and tough housing that surpasses the MIL-SPEC-810 specs and can even withstand water, rain, extreme temperatures and salt water. You can select your own image brightness level with the manual gain control when used in different types of operations. 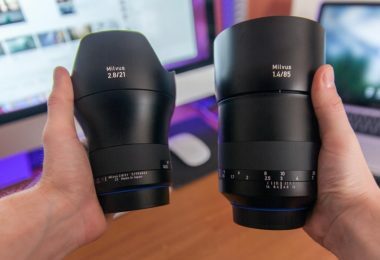 Additionally, you can buy extra lenses for mid-long range viewing or attach it to your head or your helmet. If you prefer mounting it to your rifle for hunting, you can buy dedicated mounts for the device to make this possible. While out hunting use the IR Illuminator for long-distance observation. Further, it has auto brightness control, bright light cut off, and the controls are easy to use. The Nyx-14 takes a CR123A or AA battery to work and has a battery life use of up to 60 hours. The monocular measures 5.5 x 1.9 x 2.7 inches and weighs 0.88 lb. This is one of the smallest and lightweight models reviewed here. The other outstanding thing is you receive a two-year warranty on this night vision monocular with your purchase. Related: Why not go pro when you are out hunting and attach the night vision monocular to the Armasight Goggle Kit 2 making it a great device to use hands-free. The hands-free ability opens you up to using this monocular in so many more activities. 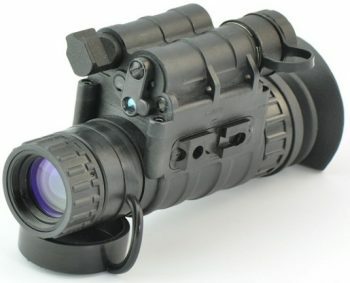 Description: For one of the top choices, the ATN Night Spirit-2 Monocular is a multi-purpose device and versatile to use. Hold it in your hand, mount it on your head, or helmet with optional headgear. When out hunting during the night and in need of viewing maps or want to operate with zero light use the Infrared Illuminator to help enhance this ability. The optics are multi-coated to help with maximum light gathering and is waterproof. The device works with a 1.5V AA size battery you receive included and has a battery life use of up to 30 hours without using the Illuminator. 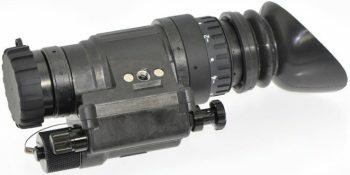 It has a 50 mm lens system with a single switch knob operation. Further, it has automatic brightness control with a bright light cut off. With the low battery indicator, there is no need of stressing that the monocular will die on you out in the field as you are prepared to place in a new one. The device measures 8.2 x 2.9 x 2.4 inches and weighs 1.4 lb. Included with your purchase you receive extra a two-year warranty card, lens tissue, CR123A battery, user manual and a soft carrying case. Related: If you are into photography and want to take amazing photos of wildlife at night why not attach the Night Spirit-2 to your camera with the ATN Camera Adapter. This will let you keep using your device long after the batteries would have died out. Using one of the best night vision monocular will help amplify light in the darkest hours of the night. They are compact in size and you can use them for different applications from hunt to military environments. 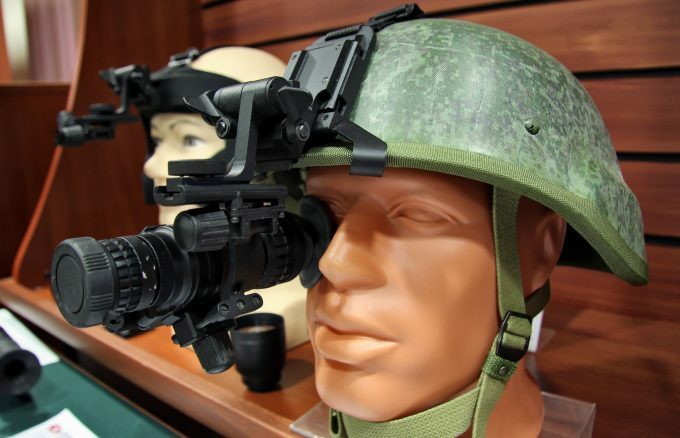 Mount the device with headgear to your head, helmet, or attach it to your rifle. If you are into night photography, you can even mount it to your camera. The versatility of these devices is endless. We hope that our review has helped you find a suitable one to fit in with your lifestyle and needs. Lastly, we’d like to hear from you. If you have any experiences with our picks, be sure to let us know all about your experiences in the comments section below.